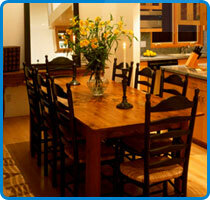 If you are looking for a kitchen remodeling contractor in Honolulu, look no further! Kitchens have become a focal point for most families, a central area for cooking, entertaining, doing homework and spending time together. Dumore Construction & Remodeling brings years of knowledge, expertise and design skill to the task of remodeling your kitchen to make it the beautiful, functional heart of your home. Dumore Construction's award-winning team brings skill, innovation and exceptional customer care to kitchen remodeling in Honolulu. Great design begins with the details. 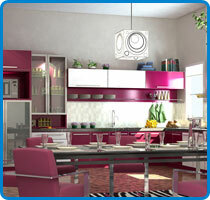 Every kitchen we design is different because every family has different needs and tastes. We will help you sort through the details and fulfill your dreams. Our goal is to assist you in achieving your ultimate satisfaction. Dumore Construction will take every phase of your project seriously to assure results in the most creative, functional and cost effective design decisions. Kitchen remodeling is an art that Dumore Construction has mastered. We can build a beautiful kitchen that fits your lifestyle. Whether you are remodeling your kitchen to provide more space or perhaps you're just looking for something more modern, light and spacious. From beautiful cabinetry to exquisite tile and granite, whatever your vision for your kitchen remodel, Dumore Construction can help make your dream a reality. Before beginning a kitchen or home improvement project of any scale, there are important questions to ask, such as: will you need drawings or city permits? These are required any time you want to move structural walls, plumbing or electrical wiring, which are involved in the majority of kitchen renovation projects. It is a good idea to find the original structure drawings; they will save you money on a new project. It is your responsibility to ensure that the contractor you hire has a city license as well as a current, valid state contractor's license and the proper insurance. We designed our website to assist you, the consumer, in understanding how to find a reputable and experienced contractor. We know that your home is a valuable asset, and any remodeling project like a kitchen remodel represents not only an upgrade to your living environment, but a financial investment you would like to see a return on. We strongly urge our clients not to always select their contractor based on the cheapest bid. Often you get what you pay for, and cheap work won't last in the long run. Cheap prices often include cheap labor and cheap materials. Be sure that any bids you receive are fully detailed and include all of the work you plan to do so that you aren't surprised with high bills for "extra" items as your project progresses. It's of paramount importance that you select a builder for your project that you have good, open communication with and who you feel comfortable entrusting your home to. Dumore Construction & Remodeling has never received a negative customer review from a kitchen remodeling project of any kind. We believe we never will, because we are wholly committed to putting you, our clients, first. At Dumore Construction & Remodeling, we go beyond expectations to ensure quality at every step. Please call to schedule a no-obligation, in-home consultation.